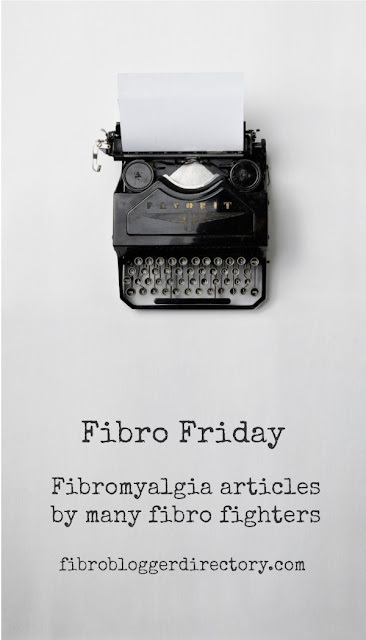 Thankyou for visiting our weekly link up where you will find lots of information, news and stories about Fibromyalgia. We hope you find some things of interest. If you like what you find we would love you to share it and help others understand more about Fibromyalgia. Hey Lee, thanks for the hosting the linkup! That's wonderful Barbara, and much appreciated. I reblogged Back Pain Blog's entry this week on the Secret Life of Pain. It is a good read, and the article she references! And I loved the symptom check lists. Good thing to take when visiting the doctor - with everything you're experiencing checked off. Keep up the good work Lee. Appreciate the support and love you show all of us bloggers!